Our team answers homeowner questions every weekend on WCCO 830 AM from 9:00 am-10:00 am. Have your most pressing home improvement questions answered by calling 651-989-9226 or texting 81807. Here’s the must-know information our COO, Andy Lindus, shared on 1.26.19. Winter provides the perfect opportunity for an insulation professional to evaluate your home’s energy efficiency. 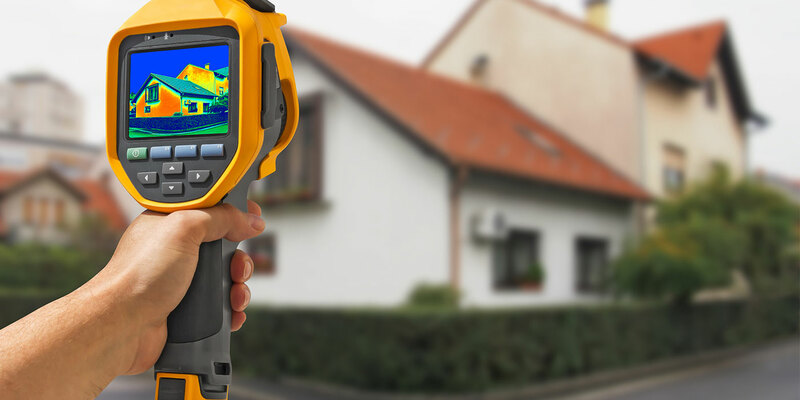 Diagnostic testing in the form of infrared imaging and heat map analyses, can quickly identify areas where insulation is lacking or air is leaking. In times of extreme cold, a home’s stack effect is most evident. During the stack effect, the home pulls air from the lower level up to the attic through the walls. This allows drafts to be easily identified through a thorough attic inspection. In the summer months, the stack effect works in an opposite manner and a home pulls air from your attic down the walls towards your home’s foundation. In the event that your insulation has become soiled with intruder animal droppings, or dust from air infiltration, the air is pushed downwards into your living quarters. This can have a negative dramatic effect on your home’s indoor air quality and long-term can be more problematic than the cold air that penetrates your home in the winter months. A heat map analysis and attic inspection can provide evidence of a laundry list of issues. At times, our inspections have found that home’s attic insulation has never been properly installed. This can cause wet insulation due to ice dams. Other times, there’s rampant evidence of bat or rodent infestation which can be corrected through the installation of cellulose insulation. This is due to the fact that the fire-retardant chemicals used in insulation act as a deterrent to rodents. It’s interesting to note that fiberglass insulation is an attractive feature to rodents that are able to make their way into an attic. In fact, they often use the material for tunneling and nesting. In addition to a home’s attic, an area that’s prone to air infiltration is a home’s windows. In terms of style, you’ll be hard pressed to find a window with a lower air infiltration rating than casement windows. Their crank-out configuration allows for a tight seal. The same is true for the locking mechanism that holds the window tight to the frame.